Bulgaria is a part of the Balkan Peninsula in South Eastern Europe. The state of Bulgaria was first founded in 681 AD and has a long and varied history. Since January 2007 Bulgaria is a member of the European Union. Of the 300 cultural and natural sites in the UNESCO List of World Heritage, nine are in Bulgaria. Bulgaria is the country of yoghourt – the food of the centenarians. 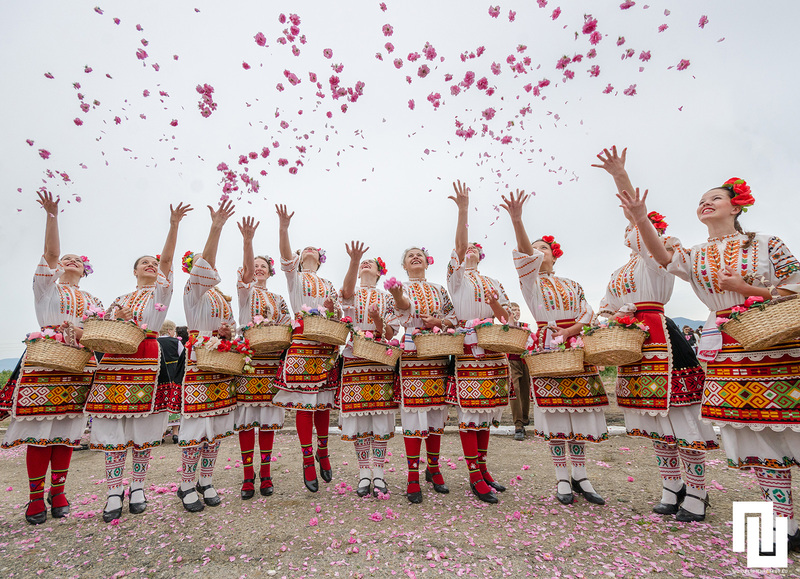 The world’s perfume and cosmetics industry could not do without the Bulgarian attar of roses – the Bulgarian oleaginous rose yields 80% of the world’s production. Small Bulgaria is one of the world’s largest wine producers together with France, Spain, Italy and Greece. Bulgaria is a beautiful mountainous country, with tourism opportunities being one of its biggest assets. Bulgaria possesses beautiful landscapes and beaches. The Black Sea Coast on its East border is famous for its fine sanded beaches, and perfect temperatures of water and air. This is Bulgaria’s third largest city, a large port, and an important cultural, trade and industrial centre. Founded in the 6th century BC, the city boasts lots of remains from Roman and Byzantine times. Varna is rightly known as the “capital city” of the Bulgarian Black Sea coast. Its location on the Northern shore of the Black Sea, along with its richness in natural resources make it one of the famous resorts Europewide, definitely the largest one in the Black Sea region. The harbor is the largest in the country, there is an international airport, a railway station and active transport communication to the inner part of the country. In Varna it is worth visiting the Archeological museum with one of the richest exhibits in Bulgaria and the oldest gold in the world, the Revival museum, where a valuable collection of icons is held, the Ethnographical museum located in a Revival period house. The Roman thermal baths (2nd - 3rd century) are the biggest ever found in Bulgaria. Also of interest could be vsiting the Revival clock tower of 1880, as well as the cathedral of the Assumption in the center of the town. Well known as a resort for decades Varna offers excellent conditions for recreation, entertainment and sports. Albena is located 30 km from the town of Varna and 12 km from Balchik resort in the northeastern Bulgaria. The resort is situated at a picturesque and ecologically clean gulf on the Black Sea coast, famous for its flower gardens. Albena is a Blue Flag winning resort. It is remarkable for its 5-km long and 150 m wide beach with fine and clean sand and crystal clear, calm and warm sea water. The tourist season in Albena lasts from May till October. The average annual temperature is around +12°C. In summer the air temperature here is over 25°C and often reaches 29-32°C. The sea water temperature in June, July, August and September is 22-25°C. In the 3rd week of May the temperature of the sea water reaches 20°C, whereas at the end of October it drops down to 15-16°C. Albena offers several SPA centres with qualified medical staff, diverse SPA and medical treatments and procedures. The resort offers varied cultural programs such as International Children's Fest, Coast of Hope Festival, Pop-rock festival, Golden Antenna Festival of Musical and Entertainment TV Programs, etc. There are many concerts and symphony orchestras, contests for children's such as drawing on asphalt, puppet theatre. Jeep and photo safari, yacht trips, excursions and trips are offered, as well. The national park of Albena is an ideal place for walking and bicycle tours. The resort offers visitors numerous sport & recreation activities including football pitches, multiple tennis courts, indoor stadium, golf courses, bowling, jet-ski, an equestrian base and many more. Albena is right on the Black sea coast of Bulgaria, which is neighbored by the countries of Romania to the north, Greece to the south and Macedonia and Serbia to the West. While this means that one could travel from any of these countries into Bulgaria, it is probably more worthwhile to fly directly to the Bulgarian coast itself to save the trouble of navigating through Eastern Europe's traffic. Albena's closest airport is the International Airport of Varna which welcomes around 1.5 million visitors every year, many of whom are traveling from the main European airports. Varna’s international airport (www.varna-airport.bg) is a busy place with scheduled and charter flights from Europe /mainly Vienna and Istanbul/, as well as regular flights to and from Sofia. Bourgas Airport is an International Airport which is located in 150 km from Albena resort /2 h 30 min by car/ (http://www.bourgas-airport.com/Home/tabid/36/language/en-US). We highly recommend viewing low-cost airlines which fly to Varna and Bourgas at the sites of the Airports stated above. Albena could be reached also by using an international bus or train to Varna, where one can order an individual transfer or a taxi to Albena. The national currency is the Bulgarian Lev (BGN). Bank notes of the following denominations are in circulation: 1, 2, 5, 10, 20, 50, 100 Levs. 1 Euro = 1,95 Levs. Items made of leather and fur are very popular on the local markets. Here you can find clothing by local manufacturers, and by famous Italian firms. Items made of silver, as well as traditional clothes and handmade tableware are the most popular souvenirs that travelers get in the memory of trip. If various handicrafts and souvenirs are best to buy in a market, jewelry should be purchased in specialized shops only. Most shops open at 9:00 and accept visitors till 19:00. Large shopping centers may work until 21:00, while supermarkets and food stores often work around the clock. When a gratuity is not included in your bill, which is usually the case, 10% is customary. If service is outstanding, you could go as high as 15%. With taxi drivers, you usually just round up the sum if you have been happy with the ride or for the sake of convenience.